At Myers our first priority is you. Our expert staff is always on hand to help you dream, plan, and produce your next event. While we love the sounds and lights of a big show, at the end of the day it comes down to our customers. That’s why we dedicate ourselves to being the best in the region while still remaining affordable. Our company was founded on the basis of quality production, competitive pricing, and excellent customer service. Today, we are proud to say what we still hold true to those values for each and every customer we serve. Our goal is that not only you, but your guest, would walk away from each event we work commenting on the quality of our services. Myers Concert Productions is your one stop shop for all things related to production. We offer top of the line equipment for rentals and production services. We carry a large line of audio, video and lighting equipment, as well as, offering staging, installation, and event consultation services. Starting out young as a touring drummer DJ quickly discovered his passion for audio. He used his time on tour to learn from seasoned pros the do’s and don’ts of running a production company. After several years of touring DJ decided to return to Tennessee and start Myers Concert Productions. His solid work ethic and attention to detail is the driving force behind Myers and its success. In his free time, DJ enjoys competitive rock climbing, skiing, and rooting for the Denver Broncos. 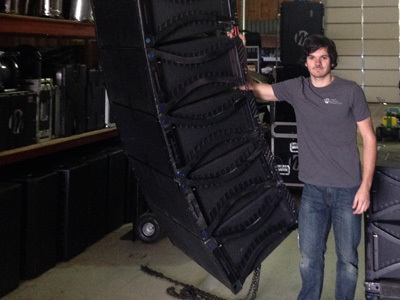 Randy discovered his passion for audio as a teen while volunteering at his church in Illinois. Since that time he has made great strides in his career by earning a degree in Recording Engineering from Full Sail University, working at the famous EXIT/IN in downtown Nashville, and owning his own production company. 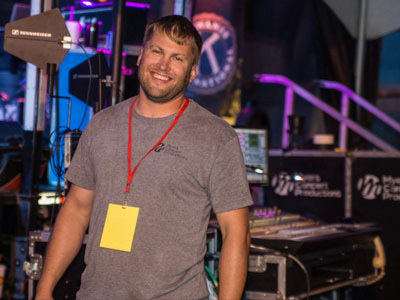 Randy joined Myers Concert Productions in 2013 as a lead audio engineer and production consultant. He enjoys spending his free time with his wife and four kids. 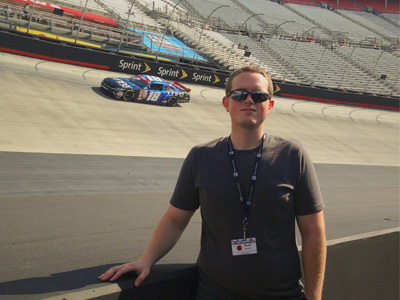 Michael is the newest addition to the Myers team, joining in June of 2015. He is currently a student at MTSU where he is earning a degree in Computer Information Systems related to audio production. He brings a creative edge to the team with his interest in lighting, photography, and web design. When he is not working, Michael enjoys volunteering at his church, mountain biking, and programing.